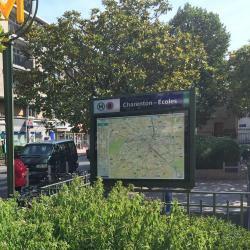 Looking for hotels near Porte de Charenton Metro Station? Cosy porte dorée offers accommodations in Paris, 2.9 miles from Opéra Bastille and 3.8 miles from Notre Dame. 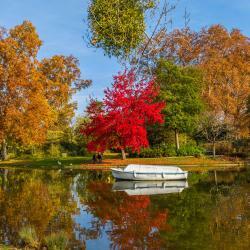 The property is 3.8 miles from Sainte Chapelle and 4.1 miles from Louvre Museum. Just a 5-minute walk from Nation RER Station, Le Petit Cozy Hôtel offers a brasserie-style restaurant and free Wi-Fi throughout the property. Opened in December 2015, Hôtel Comete Paris is located in the east of Paris just 2953 feet from Place de la Nation and its many transport links. 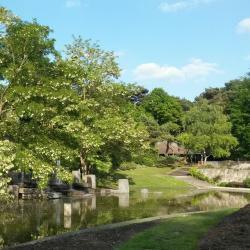 Great location close to the Metro line. The citizenM Paris Gare de Lyon is set in the 12th district of Paris. It offers breathtaking views of the Seine and is located near to Gare de Lyon train station. Easy to reach. Beautiful. Confortable. Ok a bit small but this is Paris! Hotel De L'union offers accommodations in the 20th district of Paris. All of the rooms feature parquet floors, mini-bar and free WiFi access. The owner was nice & friendly. This hotel is located on Paris’s left bank, a short walk from the Seine River and 328 feet from Bibliothèque François Mitterrand Metro Station. It offers air-conditioned rooms with free Wi-Fi. Excellent people, perfect breakfast, comfortable beş and clean room, perfect location! Hotel Palym is located on a quiet street just 2 minutes from Gare de Lyon and a 15-minute walk from AccorHotels Arena. It offers modern accommodations with Wi-Fi access. Perfect location just opposite Gare de Lyon. Located opposite Gare de Lyon Train and Metro Station in the heart of Paris, Novotel Paris Gare De Lyon offers a fitness center and a 24-hour heated indoor swimming pool. Excellent hotel, location and room. Staff extremely helpful and friendly. Hotel Mercure Paris Gare De Lyon is located right next to train and Metro connections at the Gare de Lyon.Free WiFi is provided. The location is perfect exactly next to Gare de Lyon. Excellent for weary travelers. Hotel Pullman Paris Center - Bercy is just 0.6 mi from AccorHotels Arena and a 4-minute walk from Cour Saint-Emilion Metro Station, which leads directly to Paris Gare de Lyon TGV Train Station, the... We were greeted by the staff as soon as we entered the hotel. Quality Hotel & Suites Bercy Bibliothèqye by Happyculture is located near the National Library and a 15-minute walk from Bercy Village. AccorHotels Arena is a 18-minute walk away. Convenient to the Metro and family I was visiting. 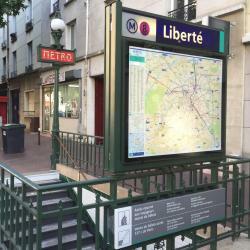 Hotels with great access to Porte de Charenton Metro Station! Just a 5-minute walk from Nation RER Station, Le Petit Cozy Hôtel offers a brasserie-style restaurant and free Wi-Fi throughout the property. Second stay, absolutely fantastic. The hotel Agate is in the Nation/Bastille district of Paris near the metro station Nation, which offers direct access to the main tourist sites. The hotel was 3 min away from the metro station Nation! It was extremely comfortable and clean!